We had our ultrasound at 20 weeks. This is later than most so our anticipation was pretty high. Of course, gender was a big part of the ultrasound, but it’s also the one that can reveal many potential health issues. So when we entered the small, dimly lit office that day we were both excited and nervous. Our technician was middle-aged, blonde, and nice enough. B laid on the crinkly paper sheeting that lined the examination bed. The monitor next to us hummed and glowed like some primitive television screen. Soon B’s stomach was gelled and our ultrasound began. Seeing your baby at this stage is breathtaking. Gone are those grainy blotches of grey and black that sort of resemble something fairly human. The baby looks pretty much like a baby. A clearly defined profile. Little arms, little feet, little toes. It’s truly beautiful. 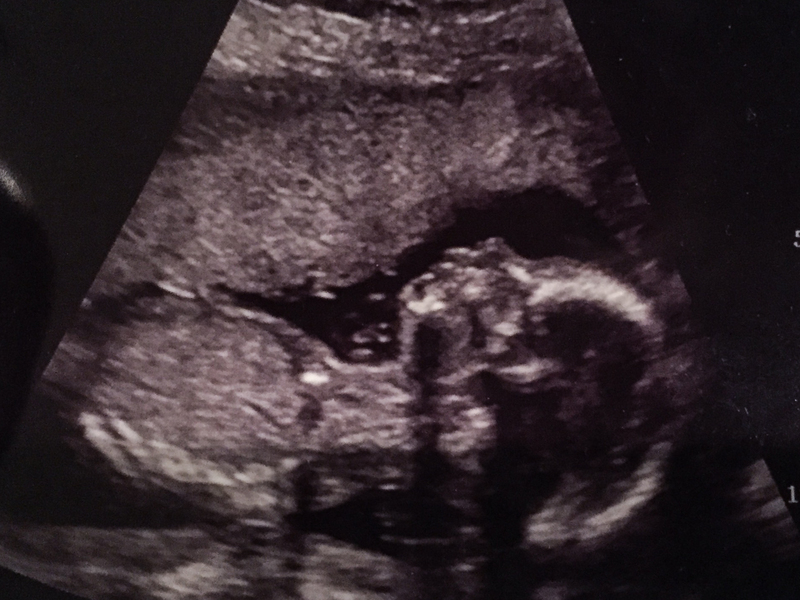 After being given the grand tour of our baby’s body, it was time to examine gender. We decided beforehand that we’d have the technician seal the gender pictures in an envelope, which we’d open later that night at dinner. We turned our heads as the technician prodded around and soon enough the envelope was sealed and we were on our way. Side-note: The technician is not allowed to say anything about the health of the baby. They simply take pictures that are examined later by a doctor. When’s later? Well, for us, they didn’t really say. So leaving the imaging center was a little underwhelming. 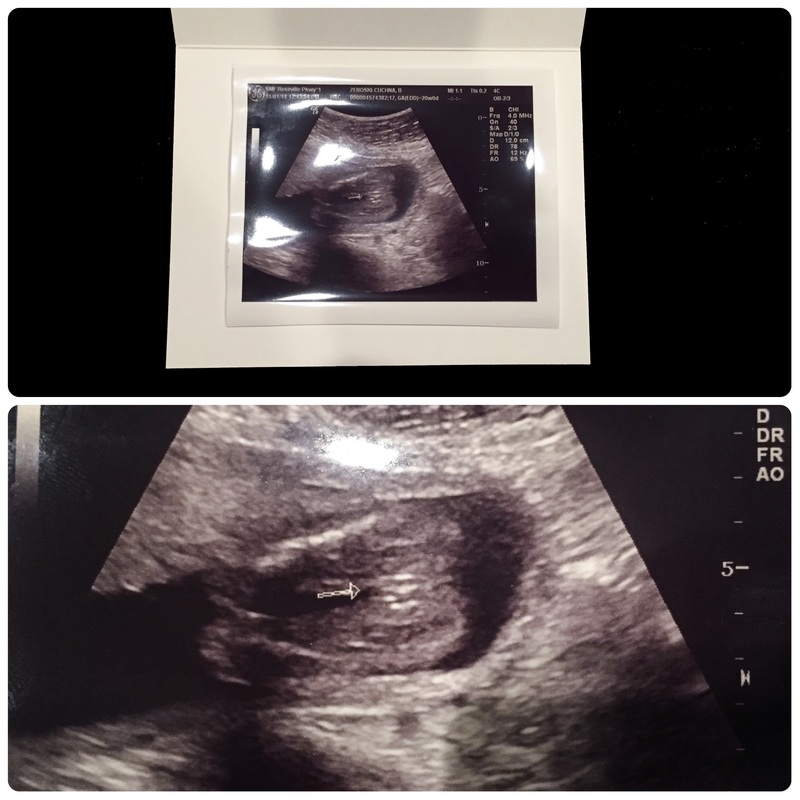 We still didn’t know gender, and we still didn’t know if our baby was fully healthy. Six hours later and we’re sitting at a table for two in an upscale restaurant downtown. The envelope lays peacefully on the table as we dip our bread in balsamic and olive oil. “When do we open it?” I say. “I don’t know? Should we order first?” B says. And so we do. B holds one side of the envelope, I hold the other. 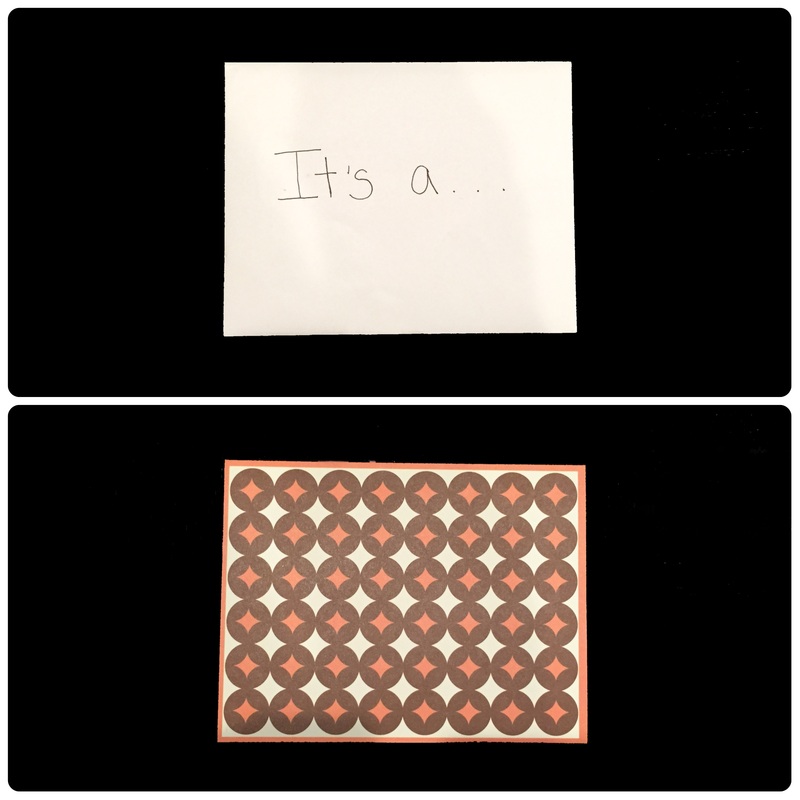 We pull out a small, glossy 2″x3″ image. The image that’s to satisfy months of curiosity. Our singular moment. That’s right. The image doesn’t say anything. No “It’s a girl!” or “It’s a boy!” Nothing. Just a small arrow pointing at what to me looks like a grey blob. We both continue to stare at the mysterious image. “It’s a girl,” B says. I look again at the arrow and the grey blob. I guess it kinda looks like a hamburger. There’s certainly nothing resembling a frankfurter. But still. How can you really be certain? Our dinner continued with an unsettling excitement. We google-imaged “ultrasound girl” and “ultrasound boy.” We compared them to ours. It definitely looked closer to the girl images. Midway through our meal B was 99% sure. We texted our family the news. We ate and talked baby names. But every once in a while we’d look at each other in disbelief. “Who does that?” I said. Gender reveals. Singular moments. Yeah, not quite what I imagined. But perhaps this is just a prelude to parenthood. We plan, we have expectations, and the gods laugh. B and I are already laughing at our clunky gender reveal. Ours is a story now, not a moment. And that’s okay.